Perhaps your earliest memories of making rooms were blankets over card tables, hay bale forts in the hayloft, or lying under the piano bench. As it is with children, so it is with architects: The basic building block of architecture—the creation of rooms--defines our craft. 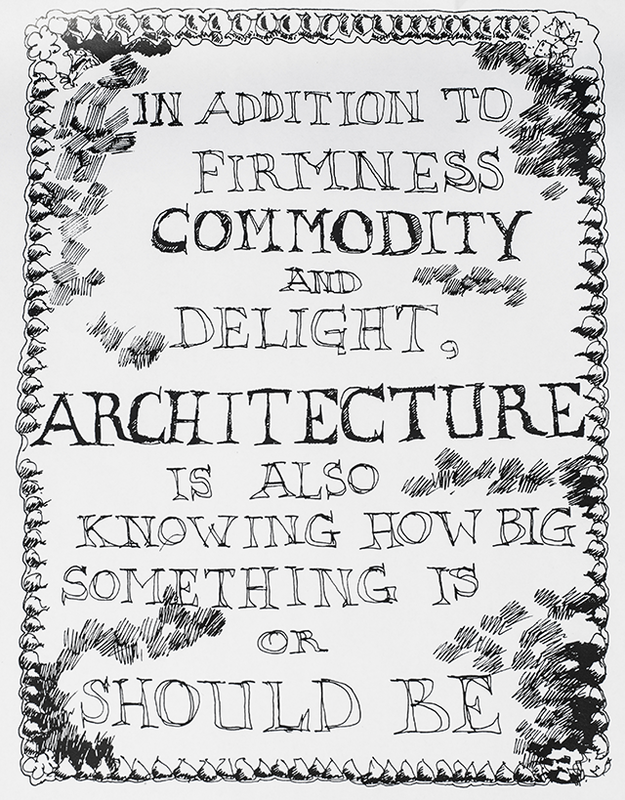 Surely there are a myriad of factors involved in our discipline of creating spaces and architecture, but fundamentally the work involves those elements from antiquity that Vitruvius penned 2,000 years ago: firmitas, utilitas, and venustas or, in English, firmness, commodity, and delight. Expanding the language to include the very rudimentary aspects of "how big should it be and of what dimensions" defines the commodity. Of particular interest in question here is that of delight. 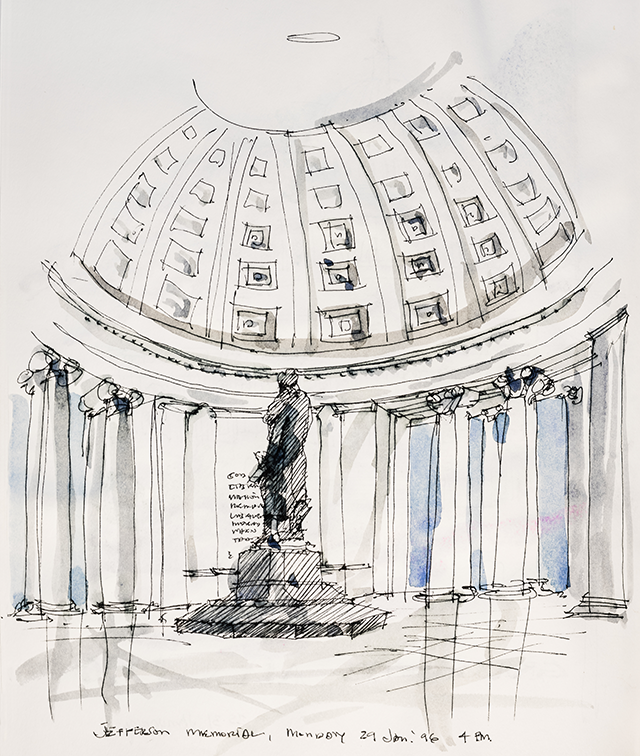 The following examples range from antiquity to the present, from ancient lands to Dallas, and from the heroic to the utterly simple, yet wonderful spaces. They are worth our exploration. As the premier Art Deco ensemble in the United States, Fair Park in Dallas is a good place to start. The Hall of State with its grand hall and murals of our state's development and its scale, proportion, colors, and materials all work in concert to create a truly heroic hall of grandeur. Perhaps less obvious, but nonetheless majestic, are the north-facing and exceedingly tall loggias featuring spectacular limestone carvings of Texas flora and Texas heroes. Elevated above and embracing a verdant lawn, these loggias provide a place of respite or retreat from a long day at the fair or in the quietude of a spring day well before the summer heat envelops the city. 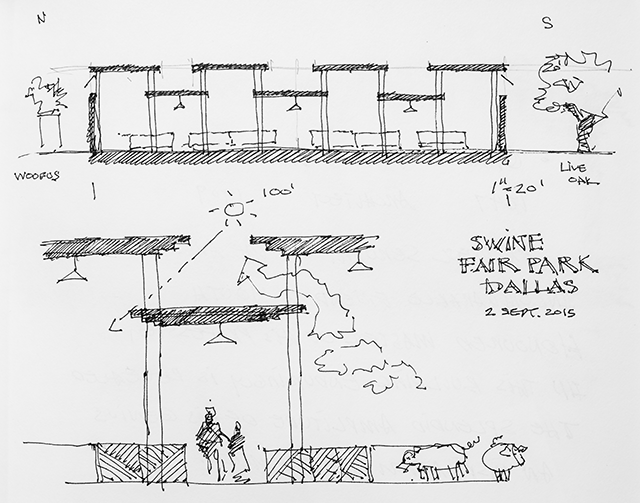 On the other end of the spectrum, but no less fit for its purpose, is the swine barn in the livestock section of Fair Park. Its proportions, natural light, ventilation (really necessary), and its raw concrete and tile construction are exceedingly well-suited for its purpose. Softened, animated, and decorated with its Chinese Chippendale design for hog panels, either lifted or borrowed from Thomas Jefferson's Monticello, this lends a contrast of fantasy. 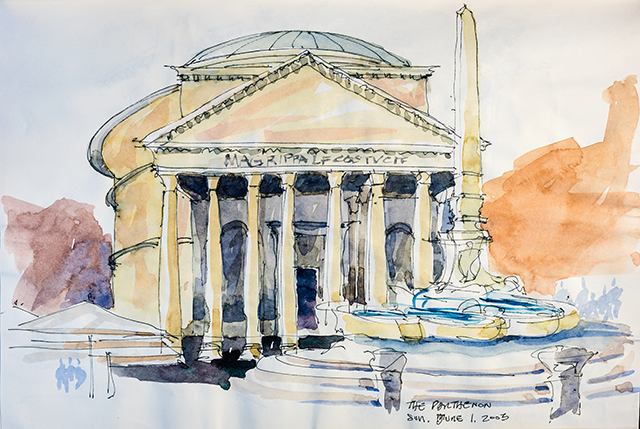 The Pantheon in Rome, the final resting place of Raphael, has been used as a model for John Russell Pope's National Gallery of Art West Building and the Thomas Jefferson Memorial in Washington, DC. The deeply coffered ceiling with the oculus-tracing shafts of light throughout the day provides a sense of the day's passing. 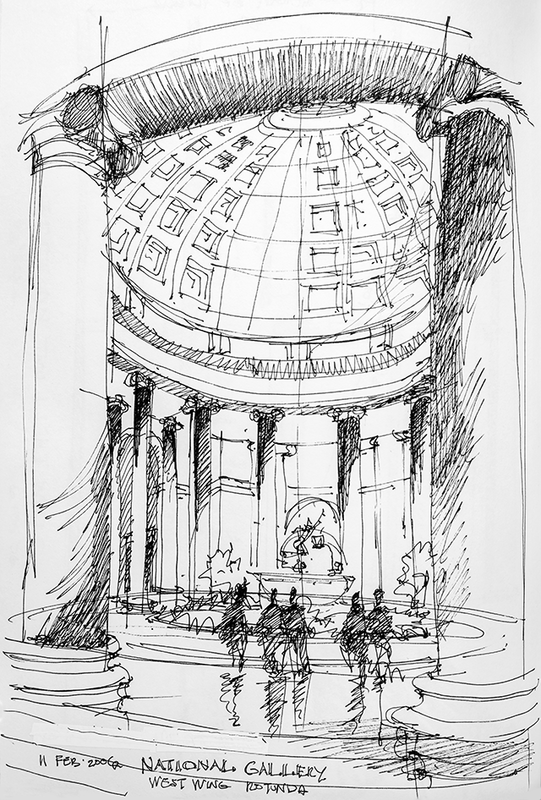 Yet in this rotunda, with no corners to contain, there is a sense of neverending day. Of truly incredible proportions and awe is the Hagia Sophia in Istanbul, Turkey. 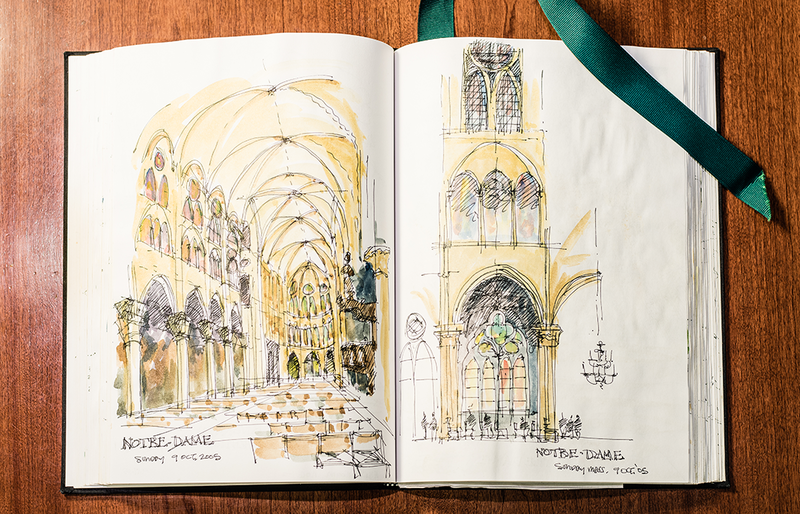 Constructed in six years and dedicated in 537 A.D., it was originally a church, then a mosque, and now a museum. 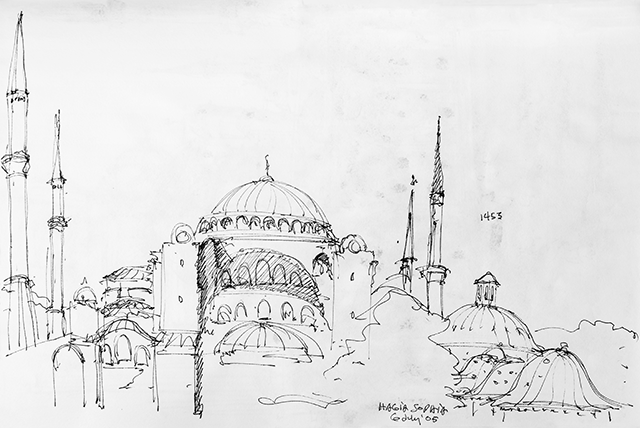 Created by the architects Isidore and Anthemius, Hagia Sophia merges the ecclesiastical model of a basilican rectangular plan with the secular and political power of a dome. 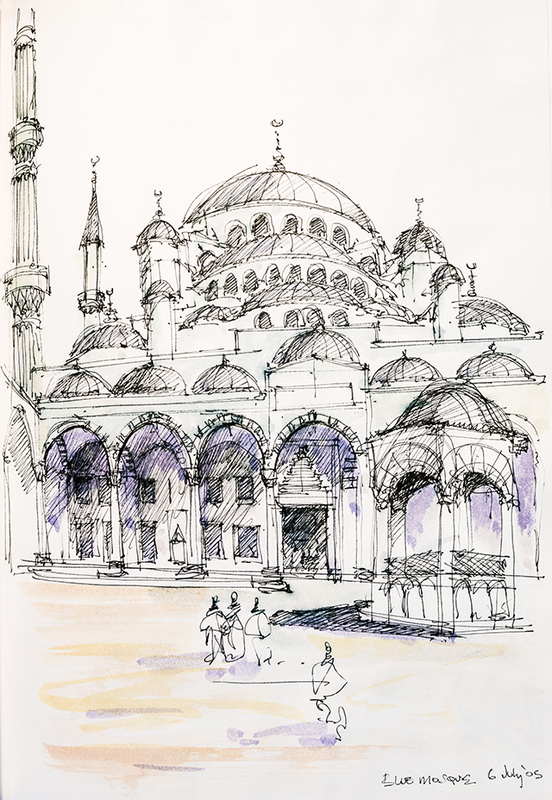 It was the architectural and engineering challenge of the first masterpiece of Byzantine architecture. With interlocking domes, huge buttresses, spindly minarets, and gracious galleries, it is 240 feet wide by 270 feet long and reaches a height of 180 feet. Withstanding centuries of wars, earthquakes, and other human and natural troubles, this edifice has stood firmly for 15 centuries in one of the most active earthquake zones in the world. It is truly an architectural and engineering marvel. Should Notre Dame be moved from its location in Paris and placed on wheels, it could easily roll through the Hagia Sophia. This scale speaks to the immensity and grandeur of this incredible room and its construction. Room-making does not necessarily require a roof. Open courtyards and gardens with a sense of containment—perhaps shaded with a canopy of trees that open to the sky—also provide rooms with a true sense of well-being. 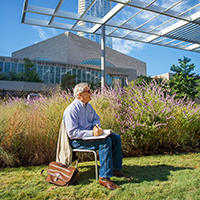 One local standout is the sculpture garden at the Dallas Museum of Art. Designed by Dan Kiley and Edward Larrabee Barnes, limestone walls with cascading terraces follow the natural grade and are articulated by water walls and a small and meandering water course that defines the spaces and leads back into the museum itself. Heavily shaded, protected from noise and traffic, it is truly a respite in the heart of the Dallas Arts District. Another local garden courtyard is the Center Park Garden at NorthPark Center in Dallas (arguably the best shopping center in America for its blending of architectural constraint, art, and landscaping). This courtyard, created by Omniplan and Mesa Design Group, is the melding of sensitive planning and the landscaping arts. Prior to the mall's expansion, this site was a flat, asphalt parking lot. With the full enclosure of the mall, the opportunities of an outdoor venue for dining, running on the grass, and sitting in the shade was realized. With a diverse sense of openness and cozy closure, this garden exemplifies an outdoor room in all seasons in a most delightful way. Crisp attention to landscaping materials, lighting, and pathways (hard and soft, open and contained) lend a sense of calmness and repose not to be missed in the flurry of shopping. At the other end of the scale is the humble, shady, and rustic arbor at the Celebration Restaurant on Lovers Lane in Dallas. 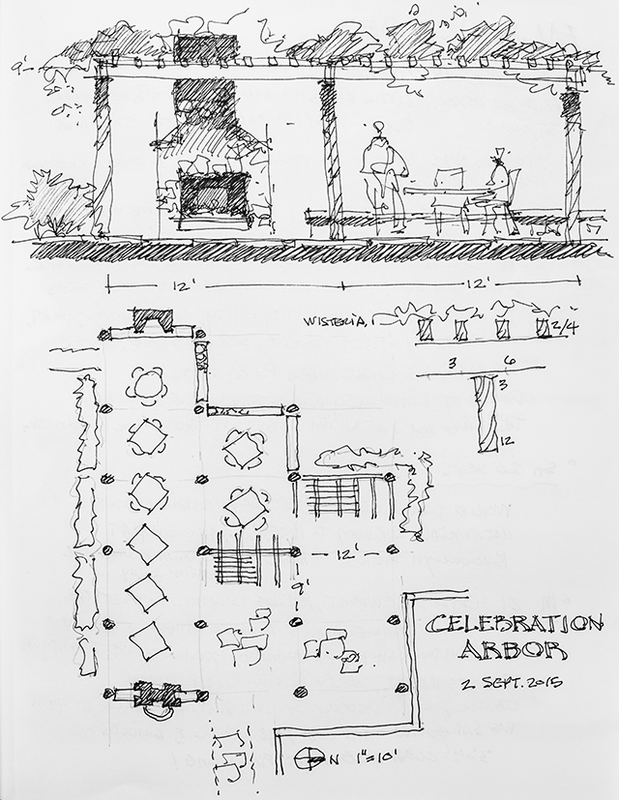 With a 9 by 12-foot grid of cedar columns and an overall dimension of roughly 45 by 30 feet, it includes a 9-foot-high overhead trellis that supports a very dense stand of wisteria. This cozy outdoor room is an exceedingly good place for a cool glass of tea in the summer or a hot cup of coffee in the winter. Contained on the west by a field stone fireplace and on the east by a similarly rustic water wall and protected from traffic on Lovers Lane by dense plantings, its sense of containment, comfort, and delight speaks volumes to the use of native, simple materials handled deftly. If rooms are truly the building blocks of architecture—large or small, rich or humble in material selection, inside or outdoor—then the study, experience, and attention to why some spaces give us a sense of well-being is time well invested in their exploration. Bryce Weigand, FAIA, owner of Weigand Art & Architecture, is past president of both AIA Dallas and the Texas Society of Architects. What one room anywhere in the world inspires you? Post a photo of your favorite room on Instagram: #theroompics.